What better way to stay fit than to do so with London's iconic guards? Skip the rope with the Beefeaters in both your hands. 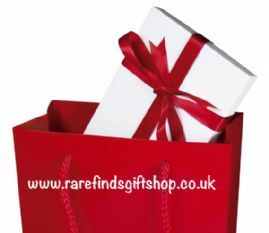 If there is one classic book you must have, it has to be Dickens. Oliver Twist, Bleak House and other Dickens stories illustrated in this book to own - beautiful inside and out. Remember the wonder the first time you held marbles in your hand? Recapture the moment with six beautifully crafted glass marbles complete with drawstring pouch. It maybe the game of chess did not originate in Britian, but chess is in every way British: royalty, strategy and yes, check "mate" . 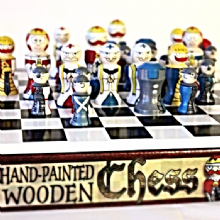 So how about a quintessentially British chess set with handpainted wooden pieces, definitely a find! An ancient game, skittles is so very European. By the medieval ages, one of England's popular games. This pretty set of five (5) wood pins painted in summer colours plus two (2) polished wood balls is the way to enjoy the game.